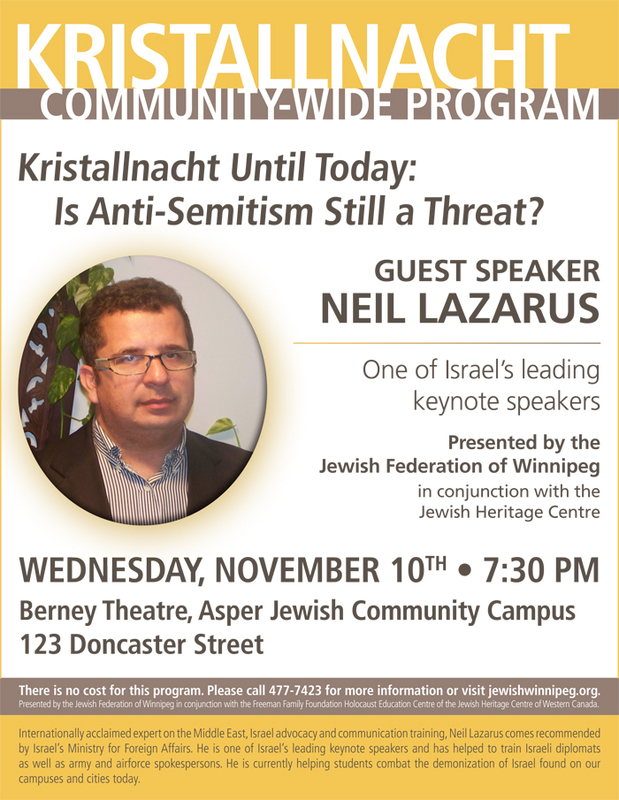 Neil Lazarus to speak on topic Kristallnacht until today: Is Antisemitism Still A threat? At least 96 Jews were killed and hundreds were injured. More than 1,000 synagogues were ransacked, almost 7,500 Jewish businesses were destroyed, cemeteries and schools were vandalized, and over 30,000 Jews were arrested and sent to concentration camps. How could it be? Did Kristallnacht result from the antisemitism of the time? Are things very different today? The program will begin with a brief commemorative service, led by March of the Living Alumni. Reception to follow main presentation. 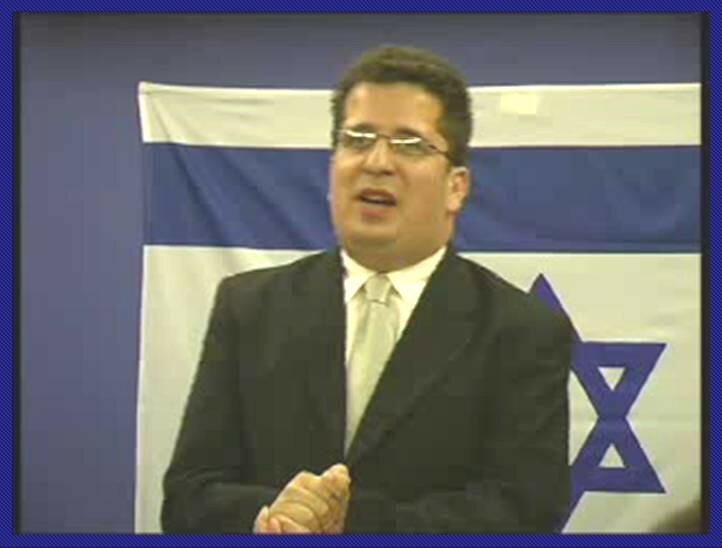 The program is presented by the Jewish Federation of Winnipeg in conjunction with the Freeman Family Foundation Holocaust Education Centre of the Jewish Heritage Centre of Western Canada. Wednesday, November 10, 2010. 7:30 pm. Berney Theatre, Asper Jewish Community Campus, 123 Doncaster Street.